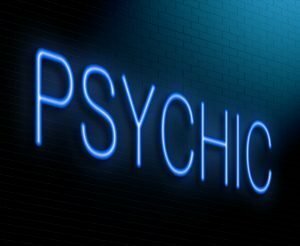 Understanding the Different Ways Spiritual Psychic Readings Can Help You | True Insights Spiritual Energy Healings and Readings with Joe Gacoscos Intuitive Channel, Psychic Healer, Starseed Awakening & Psychic Development Teacher | Serving Silicon Valley, the East Bay, San Francisco Bay Area, Union City, Fremont, Hayward, Newark, CA and Beyond! Many individuals go for clairvoyant readings in Union City for a number of different reasons. The primary reason is to gain insights and clarity on a variety of issues. Clairvoyants are able to “see” energy. Often this is in the form of colors, symbols or pictures. From these images, the clairvoyant gets information about your situation. Many people also seek clairvoyants for readings in specific areas of their lives. Simply stated, the ability to perceive or uncover specific information without using the main physical five senses is known as clairvoyance. Along with clairaudience and clairsentience, clairvoyance is a psychic ability or type of ESP that enables the clairvoyant to see the energy of a circumstance, event, or situation using extra-sensory means. Joe Gacoscos, "Guide to the Gifted" is a psychic development teacher, globally broadcasted spiritual radio host on News for the Soul, and best-selling author of "Journey of the Awakened Psychic". Schedule a Deep Transformational Life Path Healing and Channeling Session today! https://www.TrueInsights.net.